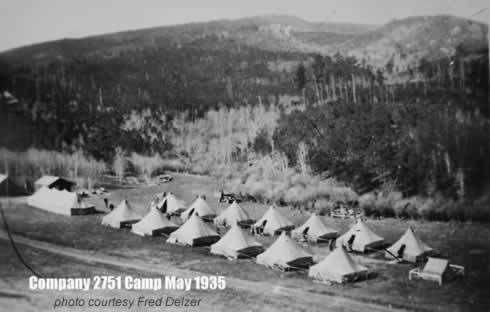 Camp Oreville was located about 5 miles south of Hill City on the west side of U. S. Highway 385 not far from the settlement of Oreville or the Oreville Camp Ground--perhaps on White Horse Creek. It was occupied by a CCC company most of the time from October 28, 1933, at least until late 1937. The four companies were composed of enrollees from three states--766 and 756 from Nebraska, 2760 from North Dakota, and 2751 from South Dakota. The first Monday after arriving the men of Company 766 were axes, and work went ahead "full swing" (1934). Quite a few men suffered injuries inflicted because they were not very well acquainted with an axe, but they healed rapidly and returned to the work in the woods (1934). 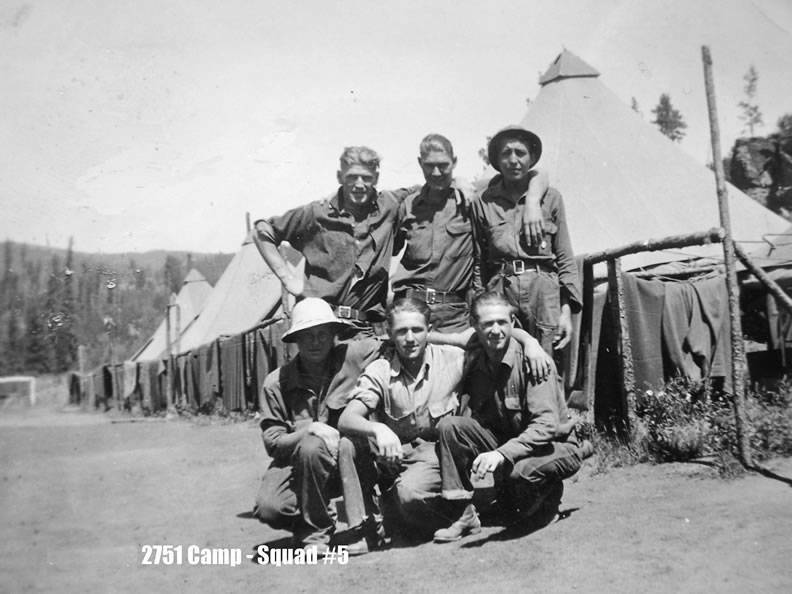 Men of Company 2751 had done soil erosion control work and dug ditches to connect several lakes in Hamlin County area during the summer (1935). They found that the work at Camp Oreville was quite different. 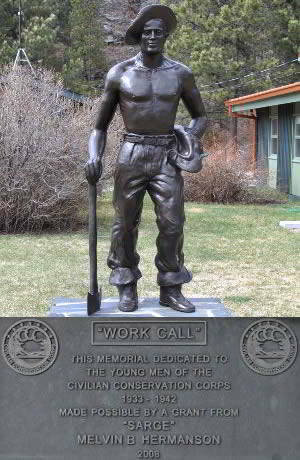 They exchanged shovels for axes and hooks, preparatory to thinning pine trees in the forests of the Black Hills. They soon learned how to an axe. The men adapted themselves to the new work and routine. They were soon producing a good quality and quantity of work (1935).